February is heart health month – to raise awareness about heart disease and how people can prevent it. Walking is one easy way to increase physical fitness. Every step counts. Most adults should try for at least 150 minutes (2.5 hours) a week of moderate intensity activity. 30 minutes of brisk walking on at least five days a week is one way to meet this goal. Break it up in 10 minute segments – before , during and after work is an easy way to do this. 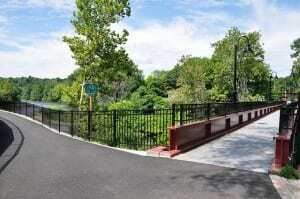 Or do 30 minutes before or after work by walking in your neighborhood or on a walking trail. Know your maximum and target heart rate by checking the American Heart Association webpage at www.heart.org. You can learn tips for walking to improve your heart health! Find more information at: www.heart.org. 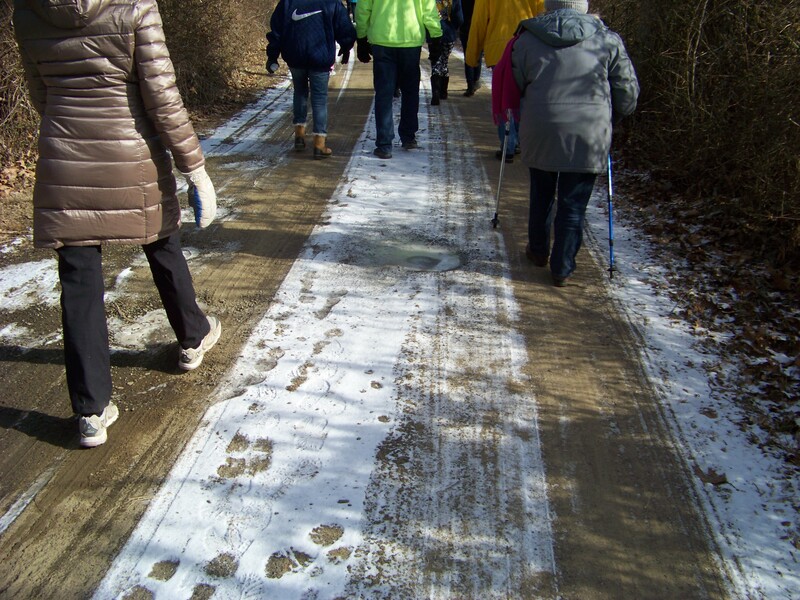 This message is brought to you by the UConn Extension PATHS team – People Active on Trails for Health and Sustainability. 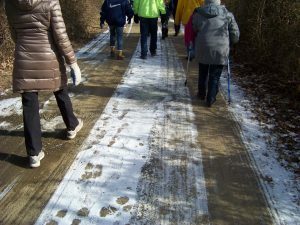 We are extension educators in health education and community development committed to implementing a social ecological approach to health education as well as understanding and promoting the benefits of trails and natural resources for health. 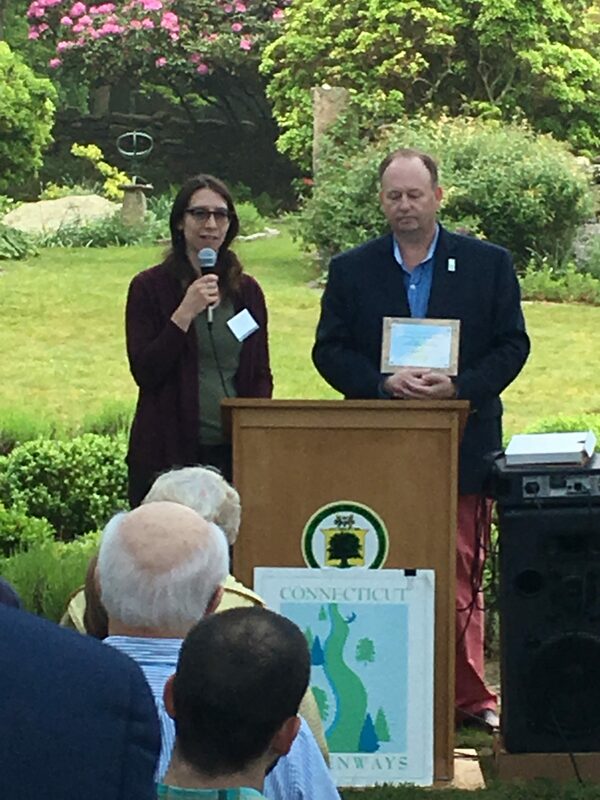 Laura Brown receives her award from Bruce Donald of the CT Greenways Council. The Governor’s Greenways Council on Friday commended eight individuals, and a volunteer committee of the Last Green Valley, that have made significant contributions to the promotion, development and enhancement of Greenways – linear open space in Connecticut – and designated three new State greenways at a ceremony at the Nathan Lester House, in Ledyard. Fall is a busy time for the Connecticut Trail Census team as we are nearing the end of our pilot year. We are so excited to have this important data finalized and ready for release in January 2018 so that our local communities can begin to put the data to use improving their local trail systems. 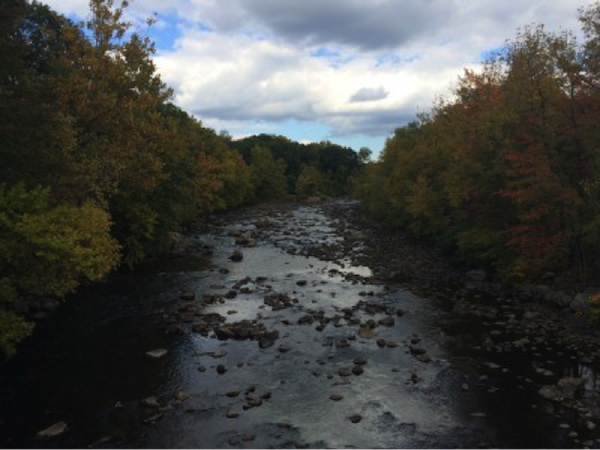 In September, volunteers and trail enthusiasts performed Intercept Surveys at our 15 participating trail sites. These surveys feature multiple choice and open-ended questions such as the user’s age range, motivation for using the trail, frequency of trail use, and whether they planned on spending money on that trip to the trail (such as stopping at a coffee shop in a community along the way). These questions are intended to collect valuable qualitative data that the Infrared (IR) Counters cannot. So far, we have received over 400 surveys from this fall session and the data is currently being compiled into a database for organization and presentation. 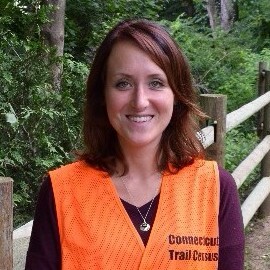 In other news, we are looking forward to presenting at the 2nd Annual CT Trails Symposium on October 19th. In addition to speaking about the current progress and planning for the future of the program, we will be unveiling a preview of how and where the survey data will be available to the public in January. Click here for more information on the Symposium and register to join us! In the public outreach department, we have released a CT Trail Census Facebook page where we post program updates, connections with statewide trail groups, and useful articles regarding trail use! Check us out on Facebook and be sure to click “like” so our posts show up in your newsfeed. Finally, at the end of this month, we will be collecting another round of quantitative data from the IR counters that are counting trail uses 24/7 on our trail sites! We will then perform preliminary analysis and continue working on calibrating and correcting this data for our final report release in January. Stay tuned for more updates and feel free to reach out to me or visit our website if you would like more information or to get involved!